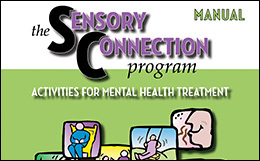 "The Sensory Connection Program represents a vividly imaginative and theoretically sound occupational therapy intervention program for adults with mental health problems. 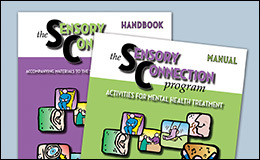 The author was energized to develop this program when she discovered the impact of sensory-based activities when used with some of her more complicated clients. After a decade of intense study, research, and program development she now presents this program in its entirety.. - Patricia Wilbarger, MEd, OTR, FAOTA.